Radio astronomy is a relatively new scientific discipline that employs radio waves to probe astrophysical phenomena from interstellar gas to extragalactic quasars. Since the dawn of radio astronomy in the 1930s, it has played a crucial role in developing our modern understanding of astrophysics. Most famously, the 2.725K cosmic microwave background (CMB) radiation was discovered by Penzias and Wilson at Bell Labs in 1965, using radio telecommunications equipment. Penzias and Wilson soon realized that the pervasive signal they were detecting in their antenna was the faint afterglow of the Big Bang, the very fires of creation. Radio telescopes are also responsible for the discovery of quasars (accreting black holes at the centers of distant galaxies) and pulsars (magnetized neutron stars, the remnants of exploded stars). Perhaps even more significant than these famous discoveries of rare and exotic celestial objects, radio astronomy allows us to map out the distribution of cold hydrogen gas, the material from which all stars form. INDI is evolving fast, and gives every day a new chance for astronomers and amateurs to give their contribute in knowledge and passion. Now INDI permits the exploration of the Universe in a wider range of the electromagnetic spectrum, ranging from visible, to infra-red, into the lower radio spectrum. Some kind of devices, unlike CCDs, permit to observe in the elementary size of resolution: the single pixel. These devices are called by INDI Detectors. The first Detector being implemented is a software-defined radio based on the Realtek RTL2838 DVB-T dongle. These devices can range from 24MHz up to 2GHz raw reception. 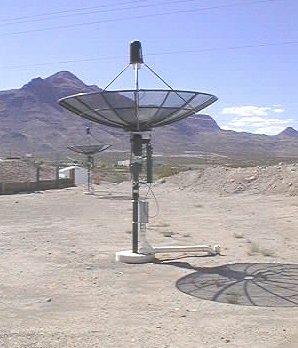 When connecting such dongles to satellite dishes Low-Noise-Amplifiers, you can detect many extraterrestrial signals including pulsars. An interferometer can be built using radio astronomy components to achieve this. The most abundant element in the universe is hydrogen. Hydrogen makes up 75% of the mass of baryonic matter in the universe, followed by helium at 23% , and all other elements at 2%. Due to its abundance, hydrogen has been studied thoroughly at its natural harmonic frequency of 1420 Mhz. By studying the kinematics and distributions of hydrogen clouds in the universe, we can gain a better understanding of the history and evolution of our galaxy and the universe overall. 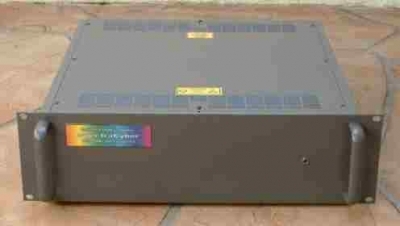 INDI supports Radio Astronomy Supplies' SpectraCyber hydrogen line spectrometer @ 1420Mhz. The 1.42Ghz frequency or the 21cm line is being emitted by hydrogen clouds in the disk of the Milkyway. It supports all the functionality provided by the spectrometer including scanning continuum and spectral channels. By gathering data from SpectraCyber, not only it is possible to construct contour maps of power densties of the galactic hydrogen distributions, but it is also possible to plot rotational velocities as a function of distance from the galactic center. As we continue to develop the necessary software drivers to support radio astronomy detectors, we also plan to develop front-end clients in applications such as KStars to make radio astronomy accessible to more users across the globe. If you'd like to contribute to this ongoing project, please let us know in the INDI Forums!